Virtual reality opens up a wide range of opportunities for education, training and learning. The technology doesn’t only allow us to live experiences that would normally be out of reach, virtual reality also helps us learn faster. 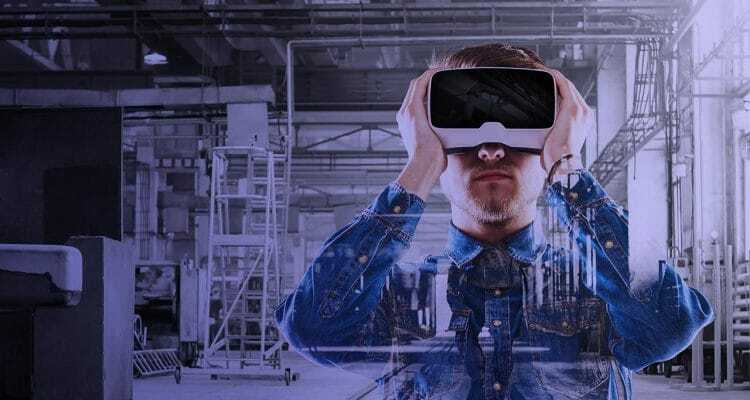 This article takes a closer look at why virtual reality has such a high impact on the brain and our memory and gives some tips on how to select efficient virtual learning tools. How memory works : when does the brain store information? To understand how virtual reality influences learning and memory, it’s interesting to have a closer look at how memory actually works. Science hasn’t uncovered all the answers yet but the general idea is that, to learn something, we have to encounter information that our brain is motivated enough to store. When our brain believes a piece of information is important to our survival, to help us manage real-life situations or to improve our skills, it will be more inclined to store this information so that we may use it later on. the vestibular sense, or movement and balance sense, which gives information about where our head and body are in space. the body awareness sense (proprioception), which tells us where our body parts are in comparison to each other. This sense also gives us information about how much force to use in certain activities. Depending on the sense that registers the information, the brain stores this information in a different location, which explains why a specific smell, for example, can trigger a specific memory. Studies have shown that the more senses you reach during teaching, the higher the impact on your students’ brain and the higher the chance they will be able to memorize a specific action or theory. Today, teachers mainly focus on three senses, i.e. vision, hearing and touch, to help students learn. Typically, a specific piece of information will be presented visually, so students can see it, while the teacher explains the logic behind it orally, so students can hear it. During more practical classes, the sense of touch is added, to give students a practical feel of the theory they’ve acquired and further stimulate memorization. Emotions also play an important part in helping us remember. Depending on how strong they are, they can both help us learn or block out information that comes our way. As a consequence, the guideline for teachers is to create an open environment, where positive emotions are central. A positive learning environment opens up the brain to acquire a new learning experience. Strongly felt negative emotions, on the other hand, such as anger and fear, tend to create traumatic memories rather stimulate learning. When it comes to teaching, virtual and augmented reality have a much higher sensory impact than traditional teaching techniques, which is why they stimulate memory to a higher degree. The emotional and sensory scope of virtual reality reaches much further than the traditional whiteboard and teacher set-up. However, it’s not enough to simply create a virtual reality environment to efficiently teach and help your students remember. Designing the right virtual environment requires both technical and pedagogical expertise. Immersive virtual reality, in particular, appears to be the way forward as it draws students into the universe of a specific subject. Immersive virtual reality tricks the brain into thinking the body is actually in this virtual location. Besides appealing to our sight and hearing, immersive experiences also affect our sense of movement and balance as well as our sense of body awareness. All these sensory cues heighten the emotional link with the experience and, as a consequence, the memory students will have of it. They no longer have to guess or imagine what specific situations may look like, but can actually live the experience as if they were really there. As the domain of virtual reality is still fairly new, more research is still needed to determine the efficiency of virtual tools and processes in helping teachers transfer knowledge. However, first steps have already been taken to set up a pedagogical framework with specific requirements for virtual training tools. According to Dalgarno and Lee (2010), for example, the simple illusion of 3D is not enough for the technology to be efficient. Genuine 3D is required, where images are recorded from each eye, to allow for a real sense of immersion. Fowler (2015) emphasizes that a 3D virtual environment must also be designed to promote learning, following a 3-stage framework that involves explanation, construction and discussion. An approach that combines teaching techniques and realistic virtual environments seems to be the way forward. Revinax closely monitors research on teaching techniques and effective virtual training solutions to provide immersive training solutions to companies and institutions. We specialize in immersive tutorials for complex gestures. Our expert team combines both pedagogical expertise and technical know-how to design virtual tutorials that actively stimulate the learning process. We use real-life footage in 3D to enhance the illusion of presence and allow users to live a real-life experience. Don’t hesitate to visit our website for contact us for more information.